The gardens contain hundreds of thousands of flowers produced from hundreds of varieties of plants creating a kaleidoscope of colour as you walk around. 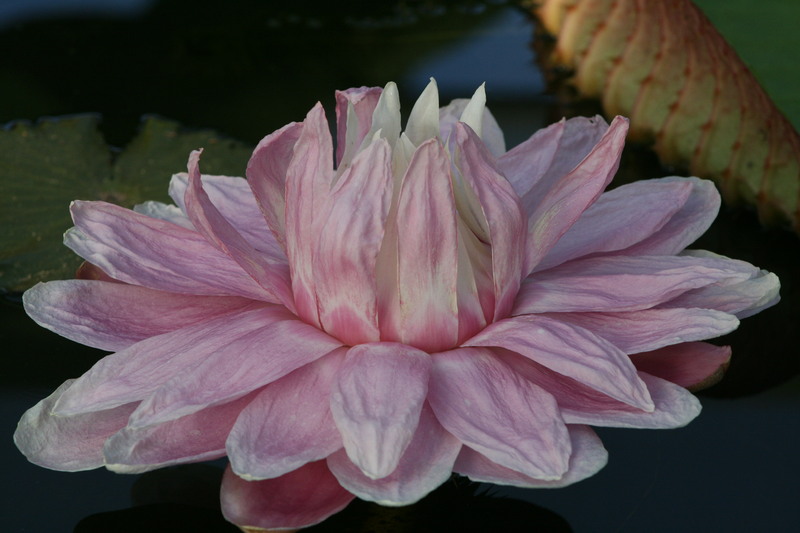 The primary display of water flowers includes over 25 varieties of lotus flowers, sourced from around the world. 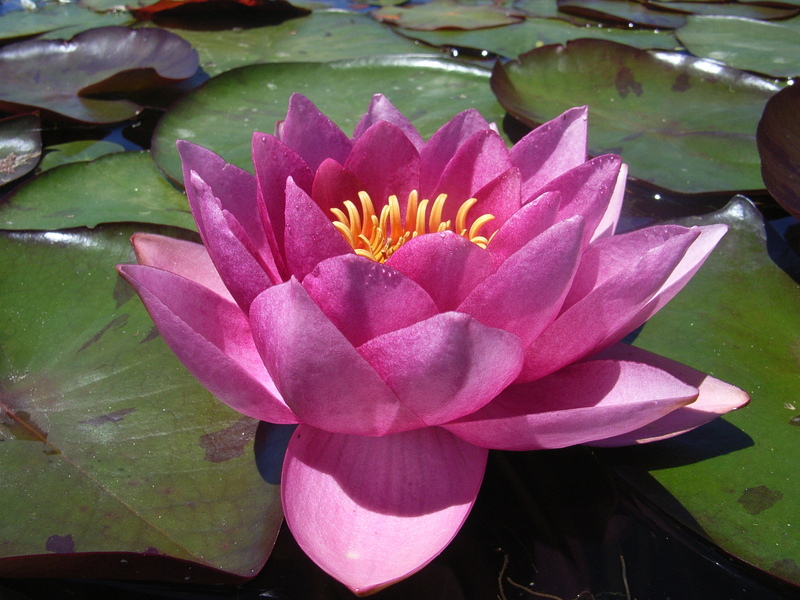 And over 100 varieties of flowering waterlilies, featuring every colour of the rainbow. 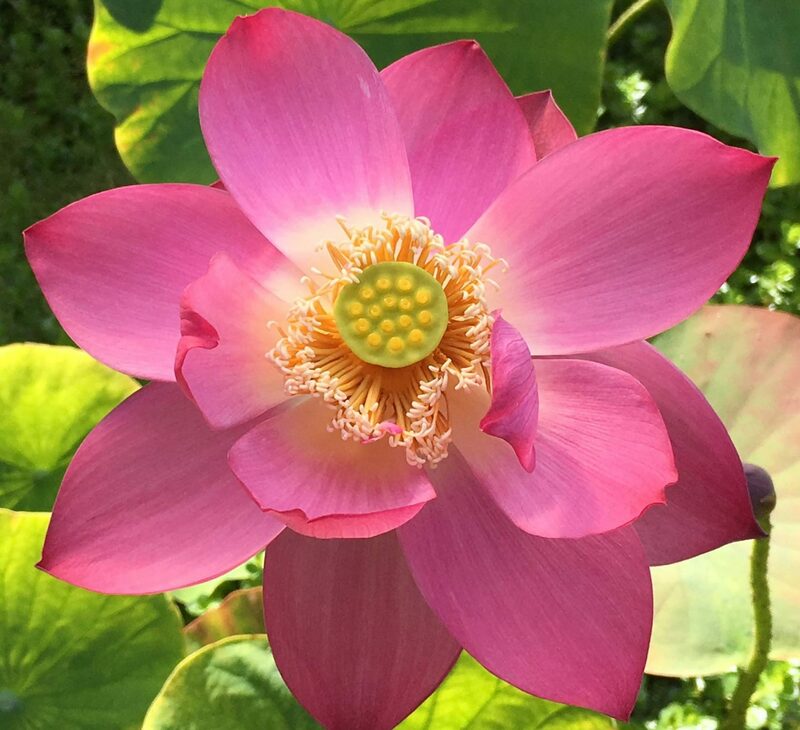 The sacred lotus flowers that create the mass display of colour from pinks, whites, reds, yellows and a combination of these are temperate and sub-tropical varieties. 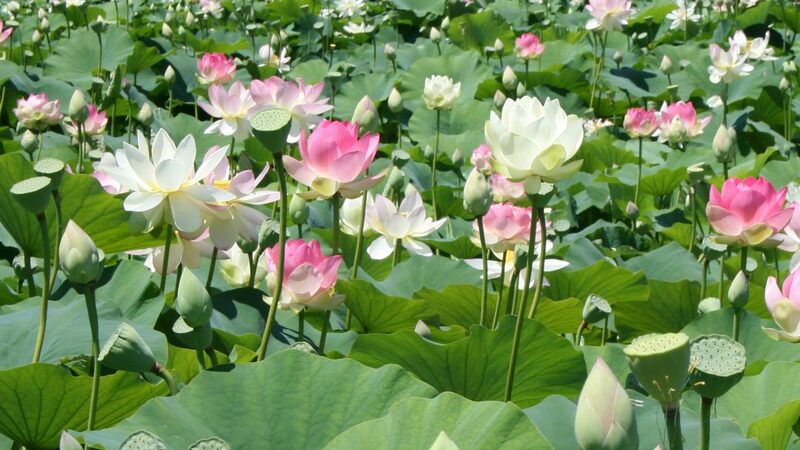 This means the lotus plants go dormant in winter losing all their flowers and totally disappearing below the waterline. This action by the lotus protects them over winter allowing them to withstand extreme cold conditions. Then in late spring the lotus re-emerge sending up their leaves and flower buds. Most varieties start flowering in December and finish flowering in late April – early May. In our tropical world complex you will see a magnificent display of tropical flowering plants including the stunning Charles Winch waterlily collection, numerous rare native waterlilies and lotus from northern Australia. Plus, the Egyptian Blue Lotustropical waterlily that comes from Nile River system in Egypt (the only one in Australia). The terrestrial garden beds contain an extensive range ofrare and beautiful vines, gingers, medinillas, heliconia’s, figs and creepers.